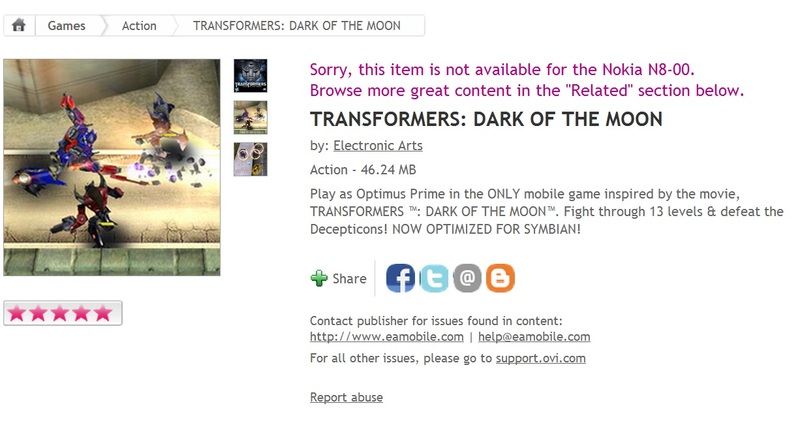 Transformers: Dark of the moon seems to be available for Symbian. The description says, “Now Optimized for Symbian” and there’s one review currently from a Nokia C7. It’s a 46.24MB download from EA, priced at 4GBP. Cheers immortal for the tip!